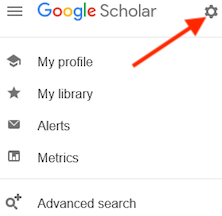 Google Scholar is a familiar place to begin your research. This will help you narrow or broaden your topic, and prepare you to begin searching our databases. ...then click on "Library Links"
Search results will now include the "Full-text @ Your Library" link for articles which are available to McDaniel online. PLEASE NOTE: articles which are available to us in print only will not be found through this link. 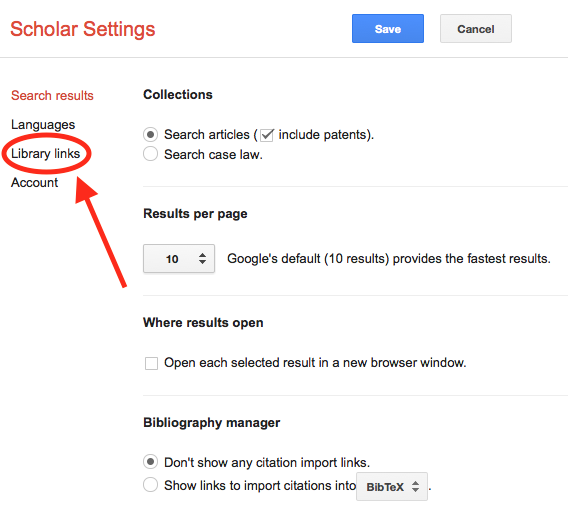 Please see the Accessing Articles from Google Scholar page for more information on access options.